Many military veterans can get prescription opioid painkillers from both the VA and Medicare, putting them at nearly triple the risk for an overdose, new research warns. “"Only in some limited circumstances—and we don't know how many—is this purposeful behavior by a patient to try and get additional opioids," explained study author Dr. Walid Gellad, with the VA Pittsburgh Healthcare System. The study appeared online March 12 in the Annals of Internal Medicine. A team led by Dr. Alexander Niculescu tracked more than 250 Veterans in over 600 visits at the Indianapolis VA Medical Center to identify molecules in the blood that can help track stress intensity. The researchers were able to narrow the focus to 285 individual biomarkers, related to 269 genes, that they say may help to objectively diagnose PTSD, as well as determine severity and predict future hospitalizations. 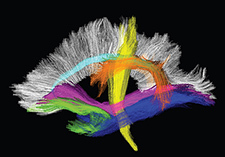 The study appeared in the journal Molecular Psychiatry. 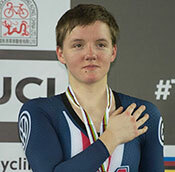 The family of Kelly Catlin, the Olympic cyclist who died by suicide last week at 23, has donated her brain to the Veterans Affairs-Boston University-Concussion Legacy Foundation Brain Bank, seeking answers for a series of behavioral changes that they believe contributed to her death. Genetics may predispose someone to crave sugar or salt, but lifestyle changes help manage cravings and reinforce healthy eating habits, says Dr. Nanette Steinle, a physician-researcher at the VA Maryland Healthcare System. She and other experts are quoted in this feature on the role of genes in taste preferences and food choices. “More men with low-risk prostate cancer are forgoing treatment to instead watch and wait to see whether their cancer progresses—and experts say that's a good thing,” according to a CNN article. 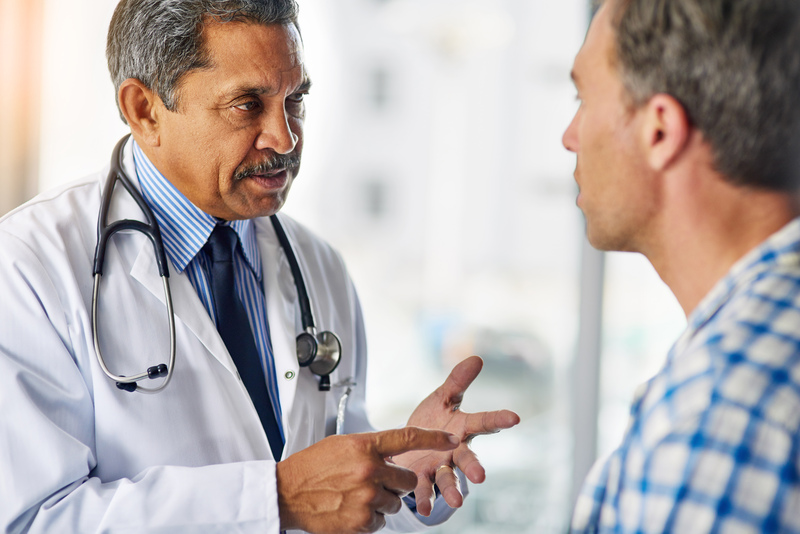 Among other research, the piece cited a VA study published last year in the Journal of the American Medical Association that found that the use of a conservative approach for managing prostate cancer rose sharply in VA between 2005 and 2015. Dr. Stacy Loeb, a urologist and researcher with VA and New York University, told CNN, “It's very encouraging that the proportion of men who are receiving conservative management for low-risk prostate cancer has increased so much over time. ... However, it appears there's still a long way to go." A large study funded by the National Institutes of Health and involving several VA researchers found that people with hypertension who received intensive treatment to lower their blood pressure were less likely than those receiving standard blood pressure treatment to develop minor memory and thinking problems that often progress to dementia. The analysis, published in the Journal of the American Medical Association, was part of a larger study called the Systolic Blood Pressure Intervention Trial, or SPRINT. The U.S. could save billions of dollars a year if Medicare were empowered to negotiate drug prices directly with pharmaceutical companies, according to a study in JAMA Internal Medicine. A team including VA researchers compared the prices of the top 50 oral drugs in Medicare Part D to the prices for the same drugs in VA, which negotiates its own prices and uses a national formulary. They found that Medicare’s spending was much higher than it would have been with VA pricing. New York Times writer Natasha Singer examines Facebook’s forays into the use of algorithms and artificial intelligence to detect posts indicating that users are contemplating suicide, and cites VA’s groundbreaking work in this area. She mentions preliminary VA studies suggesting that the agency’s REACH VET program is effective. The program uses predictive modeling and medical record data to identify Vets at risk, and triggers outreach. Read more about research on REACH VET here. Reuters, the New York Times, and other media outlets reported on a study by Dr. Utibe Essien and colleagues that found that African Americans with atrial fibrillation—a common type of irregular heartbeat—are less likely than white patients to get direct-acting anticoagulants, which are newer drugs that help prevent stroke. Thestudy, published in JAMA Cardiology, was based on an analysis of the records of more than 12,000 U.S. patients. Essien is an investigator at VA’s Center for Health Equity Research and Promotion. Several media outlets covered a VA study that looked at whether Veterans with diabetes fared any better if they had doctors leading their care versus nurse practitioners or physician assistant. The researchers, based at the Durham VA in North Carolina, found no significant differences. 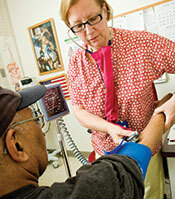 The study included data on more than 368,000 primary care patients at 568 VA facilities. Forbes reported on a new study from the BrainGate collaboration that, for the first time, enabled people with paralysis to use their thoughts to control an unmodified commercial tablet computer. As the brain-computer interface decoded their brainwaves, the three study participants, all with tetraplegia, were able to control a Bluetooth mouse and perform tasks like web browsing, email, texting, and even playing music on a keyboard app. 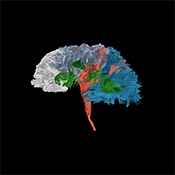 BrainGate involves researchers from VA’s Center for Neurorestoration and Neurotechnology in Providence, Rhode Island, along with partners at Brown, Harvard, Stanford, and Emory universities and other institutions. U.S. News and World Report and other media outlets reported on a study on transcendental meditation for PTSD that involved more than 200 Veterans at the VA San Diego Healthcare System. The authors, led by Dr. Thomas Rutledge, a VA psychologist, found that meditation worked at least as well as prolonged exposure therapy, one of the evidence-based psychotherapies VA uses to treat PTSD. The Department of Defense funded the study. This Time Health news feature covers recent research on the pros and cons of prescription and over-the-counter medications to combat insomnia. The article cites two VA-led studies, both focused on older adults: one out of Ann Arbor, Michigan; the other out of Buffalo, New York. Does What Your Doctor Wears Matter? “60 Minutes” highlights the stories of Veterans affected by chronic traumatic encephalopathy, or CTE, as a result of exposure to IED blasts, and explains how VA-Boston University brain researcher Dr. Ann McKee has pioneered understanding of how the disease develops—both in combat Veterans and contact athletes, such as football players. The piece also reports on a clinical trial led by Dr. Sam Gandy of Mt. Sinai Hospital and the James J. Peters VA Medical Center in the Bronx, New York, exploring whether CTE can reliably be diagnosed in living patients—and not just on the basis of port-mortem brain-tissue studies. Gandy also has lab work funded by VA to explore possible drug and exercise treatments to regenerate brain cells and reverse the effects of CTE. A new VA research hub will focus on veteran caregiver challenges and services. The Elizabeth Dole Center of Excellence will operate under the VA Health Services Research and Development program. The virtual center is named in honor of former Sen. Elizabeth Dole, whose foundation focuses on caregiver issues, support and research. The research center will work with VA investigators and universities to develop agency policy for how veteran caregivers are supported and best practices for in-home and community-based care. While VA does currently offer services to caregivers, including a program which provides a monthly stipend to those who qualify, it does not have a research center dedicated to the subject. The VA's efforts to cut prescription rates for opioids have been backed up by encouraging new research showing success for the use of non-opioid alternatives in the treatment of some types of chronic pain. "Many people do have expectations that opioids are just amazingly effective for pain. You know, it turns out that's probably not true," said Dr. Erin Krebs, a general internist and researcher at the Minneapolis VA Center for Chronic Disease Outcomes Research. "We found in this trial no evidence that opioids were doing a better job for chronic pain than the non-opioid medications we already have on hand," said Krebs, who also is an associate professor of medicine at the University of Minnesota. As a young man, facing life after suffering a spinal cord injury in a bicycling accident in 1980, Rory Cooper wanted three things — to become an engineer, to be able to support a family, and to make a difference in the world. But he didn't think he could obtain any of them in the type of wheelchair that was available at the time. In pursuit of those goals, Cooper—with VA and the University of Pittsburgh—has played an outsized role in helping disabled people achieve autonomy. A historic brewery in New Orleans is reopening as a new, state-of-the-art VA research facility. Joseph Constans, associate chief of staff for research for the VA system in southeast Louisiana, described the facility as the "crown jewel" of the VA hospital campus, designed to support biomedical, clinical, and health-care-delivery research. Work in the new space will cover topics ranging from improving PTSD treatment to developing a non-addictive opioid-like painkiller. A study conducted at five VA emergency departments and involving nearly 1,200 suicidal patients showed that a simple intervention conducted by staff in the ER could significantly reduce the risk of future suicide attempts. The study appeared in JAMA Psychiatry. Scientists with VA and Rush University Medical Center in Chicago showed that aspirin decreases amyloid plaques—a hallmark of Alzheimer’s pathology in the brain—in mice by stimulating lysosomes. 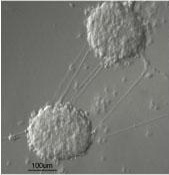 These are structures within animal cells that help clear cellular debris. 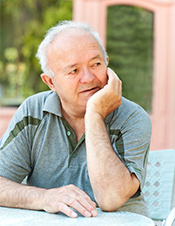 The study, funded by VA, the Alzheimer’s Association, and NIH, appeared in The Journal of Neuroscience. 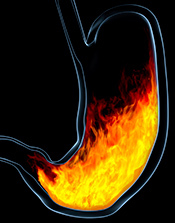 A report on how to treat heartburn without medication cites a recent study by a group with VA and Washington University that looked at data on some 3.5 million VA patients. The study found a higher risk of death associated with the heartburn drugs known as proton pump inhibitors, and urged limiting their use. 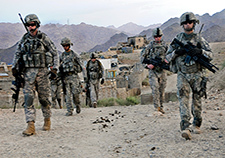 VA researchers in San Diego and at other sites, in collaboration with the Department of Defense and Brown University, are studying whether "trauma-informed guilt reduction therapy" can help Iraq and Afghanistan Veterans who are struggling with feelings of guilt related to events that occurred on their deployment. The study is enrolling close to 200 Veterans. Writer Claudia Wills profiles VA researcher Dr. Erin Krebs, of the Minneapolis VA Health Care System, and discusses Krebs’ innovative clinical trial that compared opioids to non-opioid drugs for pain management. Researchers who examined the medical records of more than 350,000 Americans who served during the wars in Iraq and Afghanistan found that men and women who experienced at least one mild TBI were more than twice as likely as their uninjured peers to develop dementia after they retired from the military. The study, by a team with VA and the University of California, San Francisco, appeared in JAMA Neurology. Even a mild head injury, commonly called a concussion, makes veterans more likely to get Parkinson's disease later on in life, a new study shows. This is the same type of injury suffered by many Americans on the sports field or in a motor vehicle crash each year. A group of 165,000 veterans with a history of traumatic brain injury (TBI) were found to have a higher risk of Parkinson's disease, compared to other veterans of the same age. VA is leveraging its huge patient population and many partnerships to study some of the most important questions in cancer care, while increasing Veteran access to clinical trials and cutting-edge cancer treatments. A large VA study appears to have confirmed what many public health experts have long believed: Colonoscopy saves lives. 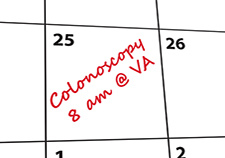 The study looked at some 25,000 patients in the VA system, where colonoscopy is widely used. Those who died were significantly less likely to have had a colonoscopy. 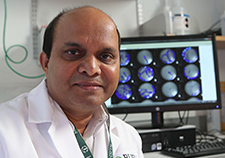 A comparison of screening histories over about two decades found that "colonoscopy was associated with a 61 percent reduction in colorectal cancer mortality," said study author Dr. Charles Kahi, with the Roudebush VA Medical Center in Indianapolis. In one of the most rigorous clinical trials of opioid painkillers to date, VA researchers found that the drugs did no better than non-opioid medications at bringing relief and boosting function for Veterans with chronic pain. The study appeared in the Journal of the American Medical Association. Dr. David Reuben of UCLA told the Associated Press, "This is a very important study [that] will likely change the approach to managing long-term back, hip and knee pain." Opioid prescriptions in the Veterans Health Administration have declined since peaking in 2012, a new VA study found. Key to the drop were decreases in long-term prescriptions, which carry greater risk for overdose and addiction. The study, published in the Journal of General Internal Medicine, was led by a team at VA’s Center for Comprehensive Access and Delivery Research and Evaluation (CADRE) in Iowa City. 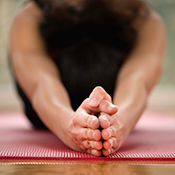 Yoga, long associated with a range of health benefits, has been shown in recent studies to help lower depression levels and minimize emotional eating. Among the studies cited in a Feb. 7 MSN article was one presented at the American Psychological Association in August 2017. Twenty-three male Veterans at the San Francisco VA Health Care System took part in yoga classes twice per week for eight weeks. Those with higher depression scores at the outset showed significant reductions in symptoms after the program. In a clinical trial, researchers at the VA Palo Alto Health Care System and 13 other sites are exploring the impact that exercise has on brain health—particularly the prevention of dementia. The study will enroll 300 older adults in all. A nurse researcher at the Salem VA in Virginia has spearhead a project showing that if the biofilm that forms on teeth is removed twice a day—namely, through brushing—harmful bacteria will not migrate into patients’ lungs and cause pneumonia. 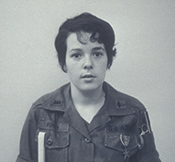 The connection between women’s experiences in the military—including the circumstances under which they separate from service—and eventual homelessness is explored in an essay by journalist Lily Casura. She cites the work of VA researchers. The New York Times highlighted the work of VA’s Dr. Rory Cooper and his team at the Human Engineering Research Laboratories. The group’s PneuChair, an innovative air-powered wheelchair, is being used at Morgan’s Inspiration Island, a water park designed specifically for people with disabilities. Veterans’ mental health and housing improved when they accessed free legal services in a VA facility, according to a study of Veterans in Connecticut and New York City. The study, published in the journal Health Affairs, was led by Dr. Jack Tsai, with Yale and the VA New England Mental Illness, Research, Education and Clinical Center. Check out our recent podcast with Tsai addressing his work aimed at improving services for homeless Veterans. 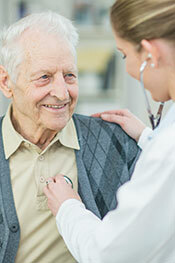 Do Patient-Centered Medical Homes Boost Chronic Care Management? Researchers with VA and several universities showed that a VA initiative to implement patient-centered medical homes in its primary care clinics nationwide resulted in better management of patients' chronic diseases, such as high blood pressure and diabetes. The model is known in VA has patient-aligned care teams, or PACT. VA researchers were part of a team from the U.S. and Canada that compared two ways of treating opiate addiction. The study, published in the Annals of Internal Medicine, focused on Californians. It found that using drugs to treat opiate addiction—such as methadone or buprenorphine—is more cost-effective than medically supervised detox programs. 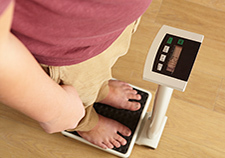 Dr. Jennifer Kerns, an obesity specialist at the Washington DC VA Medical Center, was the first author on a study in the journal Obesity that explored the factors that help people keep off pounds they have lost. The study was based on the experiences of contestants in the TV show “The Biggest Loser,” in which Kerns herself had participated. A VA study that appeared in the Annals of Internal Medicine in September 2017 found that blast exposures may have a “discernable effect on [cardiopulmonary] symptoms and exercise capacity even years after the exposure.” The work, led by VA’s War Related Illness and Injury Study Center in New Jersey, was based on data from VA’s Airborne Hazards and Open Burn Pit Registry. Breathing dirty air may increase the risk for kidney problems, suggests a study by researchers at the VA St. Louis Health Care System and Washington University. The team used county-by-county pollution reports from the EPA, backed up by NASA satellite data, and determined that exposure to particulate matter—tiny fragments produced by fossil fuel combustion and other industrial processes that can be inhaled deep into the lungs—was associated with greater odds of kidney disease, as documented in Veterans’ medical records. A new biomarker for chronic traumatic encephalopathy, or CTE, has been discovered by researchers at the Boston VA and Boston University School of Medicine that may allow the disease to be diagnosed during life for the first time, instead of after death through a brain biopsy. The findings, reported in the journal PLoS One, might also help distinguish CTE from Alzheimer's disease, which often presents with symptoms similar to CTE and also can be diagnosed only post-mortem. The ability to diagnose CTE in living individuals will allow for more research into prevention and treatment of the disease, which has been the subject of media attention in recent years mainly because of its link to football players and other contact athletes. Sleep deprivation: A tool against depression? Yahoo News covered a study out of the Corporal Michael J. Crescenz VA Medical Center in Philadelphia and the University of Pennsylvania that analyzed past research on the positive effects of sleep deprivation on depression. Surprisingly, sleep deprivation quickly reduces symptoms of depression in about half of people who suffer from the disorder, according to a meta-analysis of 66 independent studies that was published in the Journal of Clinical Psychiatry. However, there are practical concerns and limitations when it comes to applying this approach clinically—for one, the benefits tend to be short-lived and fade once normal sleep resumes. The researchers suggest further studies aimed at harnessing the benefits of sleep deprivation in practical ways. Genetic Engineering and Biotechnology News covered a study led by a researcher with VA and Emory University that points to a potential treatment for psoriasis—a potentially debilitating condition that affects up to 6 million U.S. patients—in the venom of fire ants. The researchers successfully tested compounds in mice that they developed from solenopsin, the toxic chemical in fire ant venom. The study appeared in Scientific Reports. VA researcher Dr. Hardeep Singh of the Center for Innovations in Quality, Effectiveness and Safety at the Michael E. DeBakey VA Medical Center in Houston was quoted in a Politico article titled “Health IT passes first big test with Hurricane Harvey.” Singh is an expert in the use of electronic patient records in health care. The article cited VA’s success in retaining and rapidly accessing patient records in the face of Hurricane Katrina in 2005, and explained how VA and other systems were able to do the same in the face of Hurricane Harvey. Stars and Stripes carried an article from the Sacramento Bee exploring whether an existing medical treatment known as stellate ganglion block may help ease PTSD. The procedure, which involves injecting a local anesthetic into nerve tissue in the neck, is used for certain pain conditions. It reportedly can also stop nerve impulses to the brain that trigger anxiety in trauma victims, but studies on this application have yielded mixed results so far. A VA evidence review earlier this year urged further study. More research is ongoing at the VA Long Beach Healthcare System. VA researchers and colleagues determined that long-term marijuana use does not appear to harm kidney function in young adults. The analysis, published in the Clinical Journal of the American Society of Nephrology, used data from the Coronary Artery Risk Development in Young Adults (CARDIA) study. The findings were covered by WebMD and other media outlets. The website True Viral News highlighted a study from the San Francisco VA Medical Center in an Aug. 19, 2017, article titled "What is hot yoga and is it right for you?" The study, published in 2016, found that "heated hatha yoga" helped improve stress levels and unhealthy eating patterns among women at risk for obesity and related illnesses. Reuters Health and other news outlets covered a VA study, published in JAMA Cardiology, that found no independent association between race and one-year survival rates in more than 42,000 Veterans who had undergone procedures to clear blocked arteries at VA hospitals. Studies on non-VA populations have found higher mortality among blacks after various heart procedures. The authors of the VA study say it is the "largest modern analysis to date of the influence of race on cardiovascular outcomes among US veterans." The New Haven Register and other papers covered a large clinical trial on depression that was funded and conducted by the VA Cooperative Studies Program and published in the Journal of the American Medical Association. The "VAST-D" trial involved more than 1,500 Veterans at 35 VA sites who didn't respond to initial therapy and were randomized to one of three follow-up treatments. The results suggest adding an antipsychotic may work better for many patients than switching to a new antidepressant. Dr. John Krystal, chairman of psychiatry at Yale, said the study "provides the type of detailed guidance that doctors need." The New York Times, CBS News,and other media outlets covered an event held just before Independence Day weekend at the VA New York Harbor Health Care System in which two Veterans became the first to be prescribed an advanced upper-limb prosthetis known as the LUKE arm (previously called the DEKA arm). 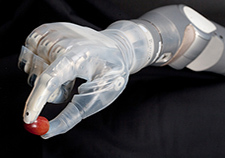 VA researchers contributed to the development of the device, which allows for near-natural arm and hand motion. CNN and other media outlets worldwide covered a study by VA and Washington University researchers that suggests there may be an "excess risk of death" among users of proton pump inhibitors—drugs such as Nexium and Prevacid, taken by millions of Americans for ulcers, heartburn, or acid reflux. The long-term observational study of more than 6 million users of VA health care only points to a correlation, and does not implicate PPIs as a direct cause of excess deaths, but the authors urge more caution in the prescribing of these medications. An article at myCentralJersey.com featured Dr. Hillel Grossman, a psychiatrist and researcher with the Bronx VA and Icahn School of Medicine at Mount Sinai, talking about the critical role that connection with family, friends, and community plays for people with Alzheimer's disease. Reuters covered a study by a VA-Baylor College of Medicine team that involved 160 older people who were shedding pounds through dieting. The study, published in the New England Journal of Medicine, found a combination of aerobic exercise and weight training was better at boosting physical functioning than either form of exercise alone. Healthcare IT News and other news outlets covered an announcement by VA of a new partnership with the Department of Energy that will leverage DOE's high-capacity computing to make the most of data from VA's Million Veteran Program and other sources. The goal is make inroads in suicide prevention, prostate cancer, and other areas of concern for Veterans. CTV News in Canada and other media outlets reported on a large international study, involving several VA researchers, that examined genetic risk factors for PTSD. The study included some 200 billion pieces of genetic information from more than 20,000 adults across the globe. The researchers say their results "demonstrate genetic influences on the development of PTSD, identify shared genetic risk between PTSD and other psychiatric disorders, and highlight the importance of multiethnic/racial samples." They say yet larger samples are needed to home in on specific genes. A study led by a team at the West Los Angeles VA Medical Center found that spinal manipulative therapy for low back pain—offered by chiropractors, physical therapists, and others—was associated with "modest improvements in pain and function and with transient minor musculoskeletal harms." The researchers reviewed and combined data from past studies on the topic. The new study was covered by NPR and several other media outlets. GenomeWeb interviewed VA's Dr. Sumitra Muralidhar, program director for the Million Veteran Program, about the latest developments in the landmark genomics effort, which now has well over 550,000 Veterans enrolled and will eventually be open to active duty members as well, through a collaboration with the Department of Defense's Millennium Cohort Study. 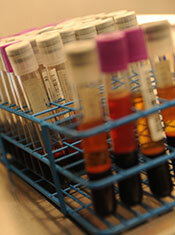 Volunteers provide blood samples and information about their health and their military experiences. NPR and other media outlets covered research involving VA, Case Western Reserve University, Brown University and other partners that enabled a paralyzed man to use his own thoughts to control his own arm and hand. The patient, a Navy Veteran, had electrodes implants in his brain and the muscles of his paralyzed limb. The study appeared in the British journal The Lancet. A story on new treatments for hearing loss in the April 3, 2017, issue of The New Yorker shares some of the personal background of VA audiology researcher (and one-time rock musician!) Dr. James Henry, of VA's National Center for Rehabilitative Auditory Research. U.S. News and World Report and other media outlets covered a VA study on the link between substance use disorders and suicide deaths among Veterans using VA care. The study, which looked at data on more than 4.8 million Veterans, found a sharply elevated risk of suicide among those with a current SUD. The Cleveland VA Medical Center and its clinical affiliate, Case Western Reserve University, have created a new center, Case VA Cares (CWRU-Cleveland VAMC Center for Antimicrobial Resistance and Epidemiology), to study antibiotic resistance, which the World Health Organization calls "one of the biggest threats to global health, food security and development today." The effort is headed by longtime VA researcher and CWRU professor Dr. Robert Bonomo. Read more in Crain’s Cleveland Business. A Wall Street Journal article on shared decision-making in health care highlighted the research of Dr. Angie Fagerlin at the Salt Lake City VA Medical Center. Fagerlin is also president of the Society for Medical Decision Making. CNN and other national media outlets reported on a VA study, published in the Annals of Internal Medicine, that tested various strategies to help people keep off the weight they had lost. VA researcher Dr. Dale Gerding, an internationally recognized expert on infectious disease, was featured in a New York Times article on efforts to subdue Clostridium difficile, which infects hundreds of thousands of U.S. patients a year and has been called an "urgent threat" by the Centers for Disease Control and Prevention. Among other studies, Gerding's team in Hines, Illinois, has tested an orally administered liquid that has a C. diff strain that does not produce toxins or cause illness, and that pushes out the toxic strains from the gut. Military Times covered work underway at the VA Rocky Mountain Mental Illness Research and Education Clinical Center to learn whether restoring friendly bacteria in the gut might counter symptoms of PTSD and traumatic brain injury. How aggressively should blood pressure be treated? CNN covered a study by a Portland (Oregon) VA team that looked at the benefits and harms of intensive blood pressure treatment in older adults. The researchers analyzed data from 24 past studies. The Pittsburgh Post-Gazette covered a study by a VA Pittsburgh team that found that screening older patients for frailty before their surgeries significantly increased post-surgery survival rates. The study was published in JAMA Surgery. The Associated Press reported on a VA study in JAMA Dermatology that tracked trends in melanoma—the most serious skin cancer—region by region in the U.S. between 2003 and 2013. New England was the only region to show an overall drop in both death and incidence rates. The authors believe strong public-awareness programs in the area may have driven the trend. 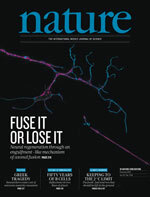 Dr. Samuel Goldman, a researcher with the Parkinson's Disease Research, Education and Clinical Center at the San Francisco VA Health Care System, was quoted in a Dec. 21, 2016, New York Times article on possible links between Parkinson's disease and the herbicide paraquat, which is used widely in the United States. Goldman said there is "overwhelming data" tying the weed killer to the disease. Fox News and other media outlets ran a Reuters piece on a VA study involving 132 Veterans with PTSD. The study was led by a team at the Ralph H. Johnson VA Medical Center in Charleston, South Carolina. It found that prolonged exposure therapy—one of the two main evidence-based psychotherapies VA recommends for PTSD—could be delivered just as effectively by videoconferencing as in person. This could enable Veterans to benefit from the treatment at home without having to travel to a VA site. A portable sensor developed by researchers with VA's APT Center and Case Western Reserve University in Cleveland can assess the clotting ability of a person's blood 95 times faster than current methods, using only a single drop of blood. The ClotChip measures how blood affects an electric field—a reflection of clotting ability. Emergency medical teams could potentially use it to quickly tell whether someone is on blood thinner medication. The New York Times and other media outlets covered a study by VA authors and colleagues that showed a drop in dementia rates in the U.S. between 2000 and 2012. The researchers aren't sure of the reason, but they cite several possible factors, including better education—which could boost brain health in many ways over a lifetime—and better management of chronic diseases such as high blood pressure. CBS News covered a study by VA researchers in Palo Alto and Richmond that involved more than 600 Vietnam-era Veterans. It found that problem drinking during five years or more in young adulthood appears to increase the risk of health problems later in life, even after decades of remission. 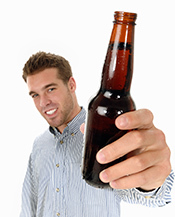 The study was published in the Journal of Studies on Alcohol and Drugs. Researchers with VA and Case Western Reserve University in Cleveland have been learning how to restore a sense of natural touch to Veterans and others who use artificial hands. Watch this CWRU video to learn more. "Military Medicine: Beyond the Battlefield," to air on PBS Nov. 9, has a segment on work at the Human Engineering Research Laboratories, a joint endeavor of VA and the University of Pittsburgh. One HERL project, the Mobility Enhancement Robotic Wheelchair, was covered in VA Research Currents earlier this year. Paralyzed by a spinal cord injury and powered by contractions of his own muscles activated by surgically implanted neural stimulators developed by VA and Case Western Reserve University researchers, Mark Muhn pedaled his way to a gold medal at the first ever Cyborg Olympics, in Sweden. Read more on the website of VA's Advanced Platform Technology Center. The work of VA-UCSD researcher Dr. Mingxiong Huang, seen above with colleague Dr. Roland Lee, was highlighted in a recent National Public Radio piece titled "War Studies Suggest a Concussion Leaves the Brain Vulnerable to PTSD." 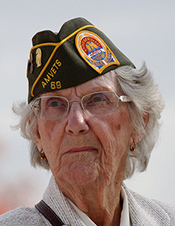 The story also featured VA-UCSD researcher Dr. Dewleen Baker. Reuters reported on a VA-Baylor College of Medicine study that found significant improvements between 1999 and 2014 in surgical outcomes for VA patients. The gains are attributed to the VA Surgical Quality Improvement Program, which has served as a model for private systems. CBS News and other media outlets covered a study by VA and Duke University researchers that found that VA patients who had bariatric surgery lost more weight than similar patients who did not have surgery, and they tended to keep off most of the weight after 10 years. The website HealthITAnalytics.com covered a new partnership among VA, the Department of Defense, and the National Cancer Institute that will allow for routine screening of certain tumors for gene and protein information in order to provide targeted, individualized therapies. The program, called APOLLO, is part of the larger national Cancer Moonshot Initiative. National Geographic covered a study that showed broad gains from a VA program started in 2007 to fight methicillin-resistant Staphylococcus aureus (MRSA), a dangerous hospital-acquired infection. The study showed that the initiative reduced the rates of other infections, too, because it led to wide-reaching improvements in infection control. The American Art Therapy Association and Family Practice News wrote about a small clinical trial at the Hampton (Va.) VA Medical Center, reportedly the first within VA to examine the benefits of art therapy for patients with PTSD. Researchers at the Minneapolis VA Health Care System reviewed and analyzed existing data on the popular Mediterranean diet, which is rich in healthy fats, and confirmed its heart benefits. Forbes and many other news outlets covered the study. IBM's supercomputer Watson will help VA doctors tailor cancer care. The new partnership was announced at VP Joe Biden's Cancer Moonshot summit on June 29, 2016. Read about it on CNBC, CNET, and The Washington Post. "Goals and Priorities for Health Care Organizations to Improve Safety Using Health IT." A greater role for pharmacists? VA's Dr. Timothy Wilt and colleagues reviewed 63 published studies to learn whether pharmacists could play a greater role in managing chronic diseases such as high blood pressure. Read more from UPI. Fox News and other media outlets covered a VA study of more than 193,000 patients that found an association between the use of proton pump inhibitors—drugs such as Nexium and Prevacid, taken by millions of Americans for ulcers, heartburn, or acid reflux—and serious kidney problems. Researchers with VA and the University of Utah found that rates of homelessness were more than doubled among Iraq and Afghanistan Veterans who had screened positive for military sexual trauma. Read more in Military Times. Read in Yale News how a Yale-VA team treated two patients affected by inherited erythromelalgia—a rare pain syndrome—with a drug based on the patients' genetic mutations. The researchers say the study shows "it is possible to use genomics and molecular modeling to guide pain treatment." A team led by VA researchers in San Diego successfully used gene transfer to boost cardiac function in patients with heart failure. The study, published in JAMA Cardiology, was covered by HealthDay and other news outlets. Read an informative, engaging MinnPost interview about traumatic brain injury and its psychological effects with Dr. Kelvin Lim, of VA, the University of Minnesota, and the Defense and Veterans Brain Injury Center. 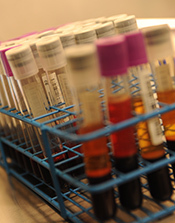 As part of a new partnership between VA and the Department of Defense, announced Feb. 25, 2016, at the Precision Medicine Initiative Summit at the White House, active-duty service members will now be authorized to donate blood and enroll in VA's Million Veteran Program. Read more at military.com. A lab team led by Dr. James Zadina, with VA and Tulane University, has developed an alternative to morphine they say may offer equal pain reduction without the potential for addiction or other unwanted side effects. The work was covered on a local New Orleans news show. VA researcher Dr. John Blosnich was quoted in a Jan. 27, 2016, Reuters article about a new Canadian study that found high rates of childhood abuse among military members. Blosnich's team published similar findings in 2014, based on a survey of U.S. adults. He coauthored an editorial about the new Canadian results with VA's Dr. Robert Bossarte. A study at the Puget Sound VA and University of Washington shows that the cerebellum—a brain area important for motor control—is particularly vulnerable to repeated blast injuries. 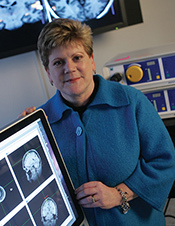 The team compared findings in mice with scans of TBI-affected Veterans. Read more in the Seattle Times. A study that compared the VA health records of more than 5,000 transgender Veterans and some 15,000 non-transgender patients found significantly higher rates of physical and mental health conditions in the transgender group. Read more in the Huffington Post. New technology from VA's Advanced Platform Technology Center and Case Western Reserve University is enabling people with paraplegia from spinal cord injuries to pedal recumbent trikes. 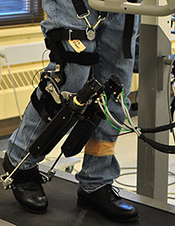 The system uses an implanted stimulator and electrodes in the legs and hips, and tiny electrical currents. Read more and watch a video in the January 2016 issue of IEEE Spectrum. Israeli technology that allows those with paraplegia (paralysis of the legs) to stand, walk, and climb stairs will now be made available to Veterans who can benefit from it. More than a dozen patients at the Bronx VA had helped test the ReWalk, which involves special shoes, leg braces, a watch-like control pad, and a backpack to carry the battery. VA's Million Veteran Program was featured on the science-news website STAT: Reporting from the frontiers of health and medicine in a Veterans Day report. 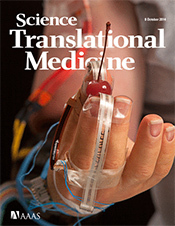 Results from the NIH-sponsored Systolic Blood Pressure Intervention Trial (SPRINT), led by Memphis VA investigator Dr. William Cushman, were published in the New England Journal of Medicine on Nov. 9 and covered in many news articles and commentaries, including a New York Times blog post by Yale cardiologist Dr. Harlan Krumholz. Reuters, Fox News, and other news outlets covered a study led by a Cleveland VA team that found that hospital workers often transfer germs when removing their gowns or gloves. The Stars and Stripes and other media outlets covered a VA study, published online Oct. 7, 2015, in JAMA Psychiatry, looking at the prevalence of PTSD in Vietnam-era women Veterans. The study was funded by VA's Cooperative Studies Program. The summer 2015 edition of Veterans' Healthy Living, published by the VA New England Healthcare System, features an interview with VA and Harvard physician-researcher Dr. J. Michael Gaziano, recently featured in the New York Times, about his healthy-living advice for patients. A recent VA study, covered in the Los Angeles Times, Stars and Stripes, and other news outlets, found a link between military misconduct and subsequent homelessness. The finding could lead to new preventive strategies. 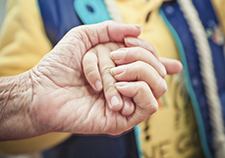 Read all about the connection in the August 2015 edition of CoE News from VA's Center of Excellence for Suicide Prevention. In the Aug. 4, 2015, issue of the Journal of the American Medical Association, VA researchers reported the results of a study on mindful-based stress reduction for treating PTSD. Read more about the study—and meet some of the Veterans who participated—in this news story and video. Check the July 2015 issue of Mental Health Innovations for updates on research and care from VA's specialized mental health centers. Can the electronic medical record help prevent Veteran suicide? VA and NIH researchers developed a predictive model that can identify Veterans at high risk of suicide based on indicators in their electronic medical records. The study appeared in the American Journal of Public Health and was covered in USA Today and other media outlets. 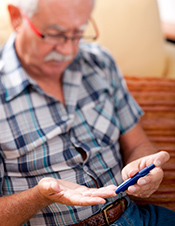 Harvard Medical School diabetes expert Dr. David Nathan comments on the 10-year follow-up results from the VA Diabetes Study, published June 4, 2015, in the New England Journal of Medicine. In the latest issue of FORUM, a newsletter designed to help VA clinicians and managers translate research into quality health care for Veterans, Dr. Jeff Whittle talks about partnering with Veterans Service Organizations on research. Learn more about the research he describes in this video. A VA-sponsored supplement in the April 2015 issue of Medical Care contains 25 original articles about VA research on women Veterans' health. Among the areas covered are military service and deployment, mental health, reproductive health, access to care, and primary care. A team with VA and the University of California, San Diego, reports that genes linked to immune function appear to be involved in the development of PTSD. 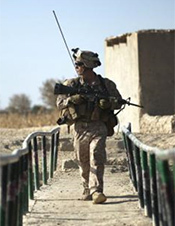 The study involved nearly 300 Marines. The findings, which appear in the journal Molecular Psychiatry, may "lead to interventions that delay or [stop] the development of PTSD," say the researchers. Read more from United Press International. 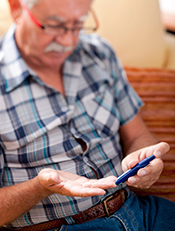 One day, people's own skin cells may be used as the basis for a therapy to treat their diabetes. That's the vision of VA and University of Iowa researcher Dr. Nick Zavazava and his team, who published a study recently in the journal PLOS One. Watch a CBC News report on the work. A team with VA, Yale, and St. Louis University has uncovered genetic links between pathological gambling and obsessive-compulsive disorder. 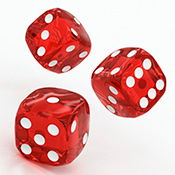 The insight could help in developing new treatments for problem gamblers. Read about it in Yale News. 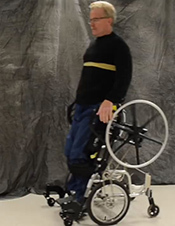 Invented by a team at the Minneapolis VA, a new wheelchair model allows users to crank up the push rims to a standing position. One Veteran now using the prototype at home says it's his "first time cooking and standing in 32 years." Read a Minneapolis StarTribune article and watch a video on Facebook. Watch this moving CBS News report about research at Northwestern University and the Hines (Ill.) VA Medical Center that shows how coma patients respond to loved ones' voices. Time magazine and other media outlets covered a study by VA authors and colleagues on the misuse of aspirin. 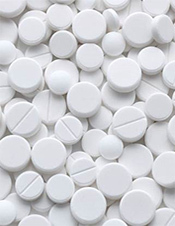 The study, in the Journal of the American College of Cardiology, found that more than 1 in 10 U.S. patients were inappropriately prescribed aspirin to prevent heart disease. In a news article in the Jan. 8, 2015, issue of the journal Nature, VA's Dr. Vic Kalasinsky joins other experts in discussing what VA is doing to address the ongoing health concerns of Gulf War Veterans. 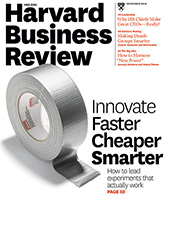 In the current online edition of the Harvard Business Review, Dr. Eve Kerr, director of the Center for Clinical Management Research at the Ann Arbor VA Healthcare System, writes about the Choosing Wisely initiative and its potential impact on U.S. health care costs. 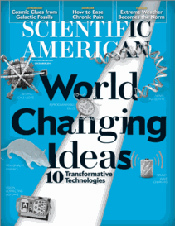 The December 2014 issue of Scientific American features the research of Dr. Stephen Waxman, of Yale and the VA Connecticut Healthcare System, in an article titled "Pain that Won't Quit." The piece tells how studies by Waxman and others have helped lay the groundwork for new pain drugs now in development. In honor of Veterans Day 2014, the journal Women's Health Issues published a special collection of research on women Veterans' health. Topics include mental health, reproductive health, cardiovascular health, military sexual trauma, health care for women Veterans, and more. A VA study points to potential overspending by the government on blood sugar test strips for Veterans with diabetes who use both VA health care and Medicare. Read more at Reuters Health. Read about it in the Washington Post. 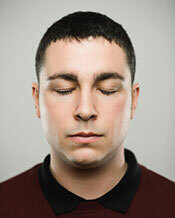 Everyday stress and life expectancy—what's the link? from the VA Normative Aging Study. Psychological Services' August 2014 issue highlighted several studies on VA and military mental health care. U.S. Medicine, the "Voice of Federal Medicine," recently featured VA research on robotic stroke rehab. 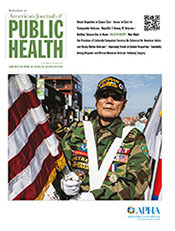 From cancer to homelessness, a new special issue of the American Journal of Public Health covers a range of Veteran health topics.